The ETAP 1100 AC combines exclusive luxury with absolute safety. 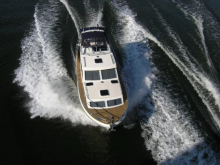 Because this unique motor yacht boasts all the features of its sailing brothers : safety, comfort and innovation. 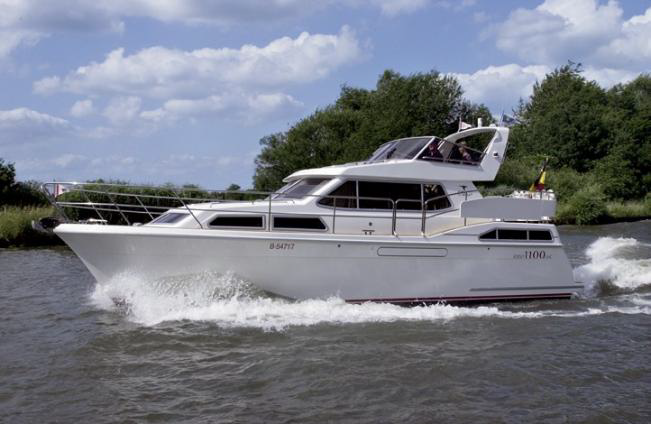 Just like all ETAPs it's double-skinned, unsinkable and supurbly insulated.Guaranteeing you carefree cruising pleasure, at sea and on inland waters. The special maintenance-friendly ETAP 1100 AC is built for your enjoyment. Above and below deck you will be struck by the beautiful finish and optimal use of every inch of space. That's typical ETAP comfort. Feel like taking a leisurely cruise through Europe on idyllic canals and mighty rivers? Fancy exploring islands out at sea? Both are possible, in complete safety. Thanks to the unique, contemporary hull shape.